Welcome to online learning at Red Rocks Community College. Although online learning is a convenient and flexible way to take courses and work toward a degree, it may not be suited to all students' learning styles or needs. The eLearning staff strongly recommends that you learn more about what is required in an RRCC Online course. You may talk with an advisor, an online faculty member, or even a student who has experienced an online course. You may want to take a moment to take a short quiz to find out if online learning fits your circumstances, learning style, and lifestyle. 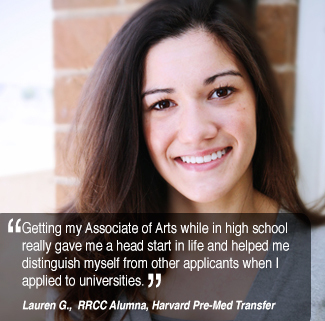 Why Choose RRCC Online Classes? Courses follow the standard Red Rocks Community College semester calendar. RRCC Online courses have a "470" section number. Textbooks are generally the same as for on-campus sections and are available at the RRCC bookstore or can be purchased online. A few classes require that students also purchase a supplemental resource site. All of your classes are accessed through Desire2Learn. You can login through The Rock portal. Your username is your student ID (S#) and your password is your self-selected PIN from the registration system. If you did not register online, your default PIN is your birthday (MMDDYY). First-time online students are encouraged to attend the D2L Student Orientation events held at the beginning of each semester at the Lakewood and Arvada Campuses. Visit the Online Resource Center to learn more.